As a part of his EuroStrings Competition Winner’s tour, Eurostrings Artist Jesse Flowers visited the United States of America and performed concerts in L.A., New York, and Austin. 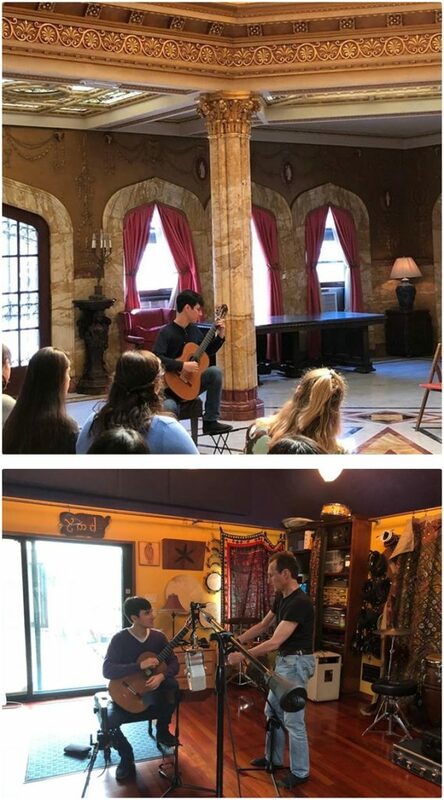 Jesse started his USA tour in L.A. where he performed in Doheny Mansion, Mount Saint Mary University Campus, Simon Ramo Hall, Sheridan Elementary School, Norwood Elementary School, and The Accelerated School. He also had an amazing opportunity to record at Earthstar studios in Venice Los Angeles, with Grammy award-winning producer and recording engineer John Schneider, and as a part of EuroStrings community outreach program, he performed at the retirement community Hollenback Palms. The second part of the tour took place in New York where Jesse performed two concerts at Roberto Clemente State Park and Diller-Quaile School of Music, and the tour ended on November 3rd 2018, with two solo concerts in Austin. ← EuroStrings Artists involved in outreach activities in London!